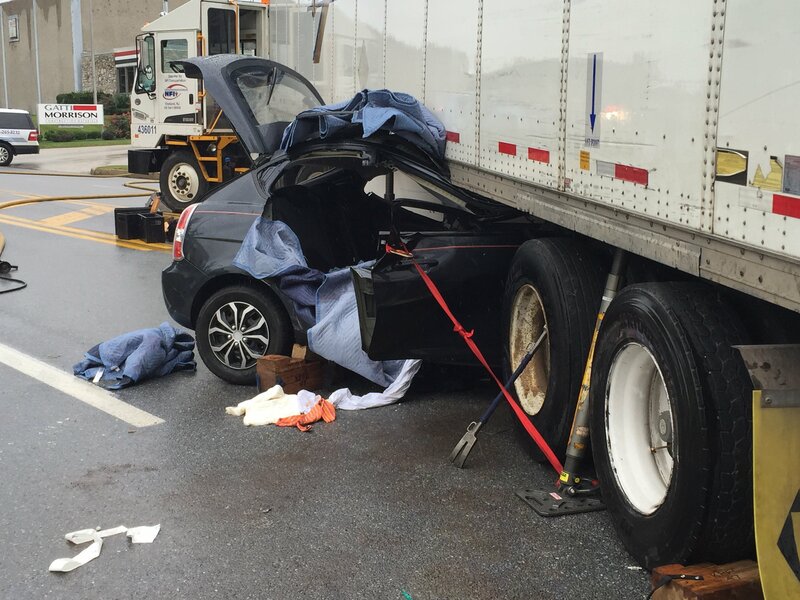 Just before 10AM on Friday, October 2nd, volunteers from Station 47 were alerted to respond to a vehicle rescue with a car trapped under a tractor trailer in the unit block of 1st Avenue. Squad 47 (D/C Camarda) and Rescue 47 (A/C Molchany) arrived on location with Medic 317 (Lafayette Ambulance) and Upper Merion Police and confirmed the initial report. D/C Camarda assumed command and requested the next due Engine, bringing Quint 31 (Bridgeport Fire Co. #1). As crews from 47 began working on several extrication plans and while stabilizing both vehicles, command requested the balance of the Southeastern Montgomery County Technical Rescue Task Force (SEMCTRTF) bringing Rescue 27 (Fairmount Engine Co. #2) and Rescue 21 (Penn Wynne Fire Company) to the scene. Crews worked seemlessly to stabilize both vehicles. Once stabilized crews popped the passenger side door, cut a 3rd door on the passenger side, and cut out the passenger seat back to gain access to the patient. Once there was enough room to access the patient, the patient was carefully removed and transported by Medic 317 to the local trauma center. Working as part of the SEMCTRTF, all responding agencies performed extremely well together to handle a difficult rescue situation. Job well done!